Why Change & Innovation Consulting? 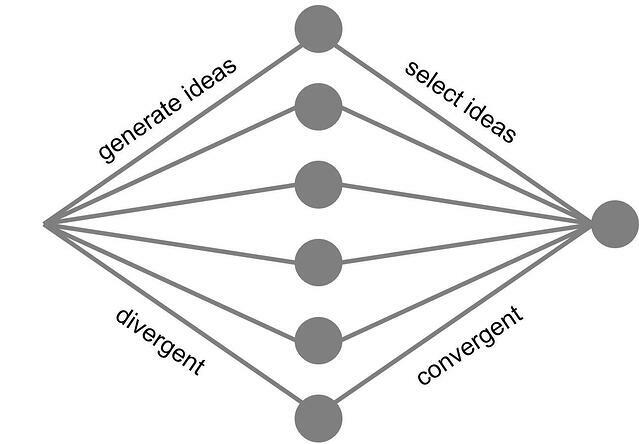 Innovation Games: Understanding The Dynamics of Creating the New "New"
Several comments on a Linkedin post (The Product of Innovation is Ideas) inspired an examination of the fractal nature of ideas. This train of thought has some interesting implications for innovation management and culture. Siarhei Tuzik suggested taking an Ideo model and applying the "fractality principle". 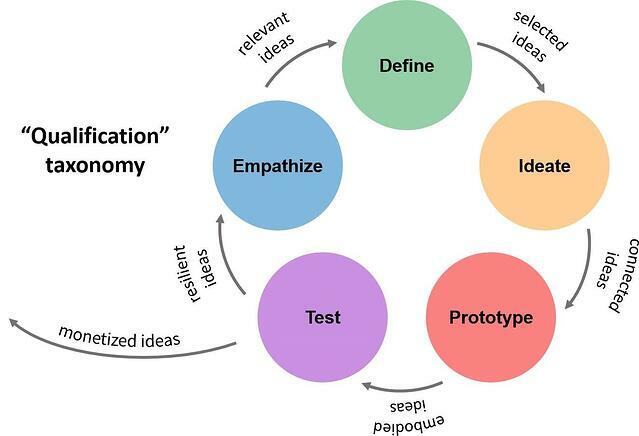 And Juan Perez-Camacho undertook a similar exercise with a design thinking model. I'm going to diagram these concepts; apologies to both for any errors! Siarhei applied "fractality" to each step in the Ideo model by pointing out that each of the three activities could also manifest as sub-steps or components of the major steps; that is, there would be ideation in implementation as well as implementation in inspiration, etc. Juan took a more common design thinking model and described the type of ideas that might be appropriate to each phase. His point is that, as you move from step to step, your ideas become more qualified, more focused and specific to the end solution, more valuable ... until they are finally monetized as a product or service in the marketplace. 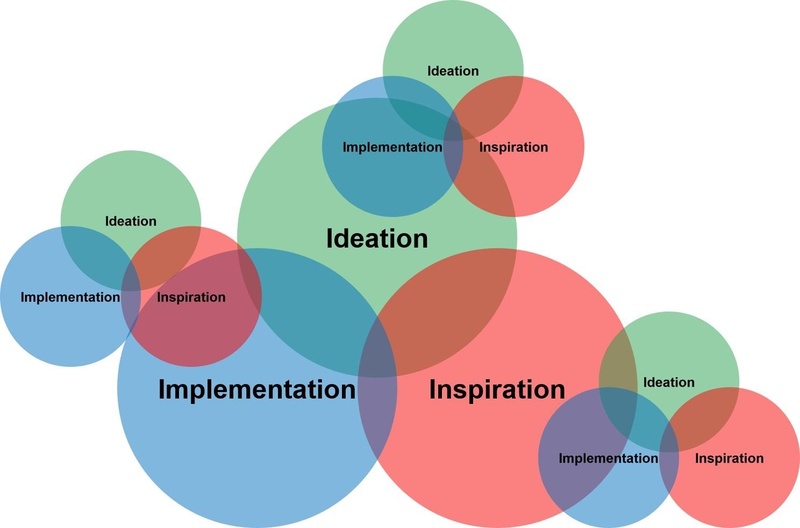 In both cases, we are recognizing that ideas, and by extension, ideation as a process, are not in fact siloed in one phase of the innovation process. 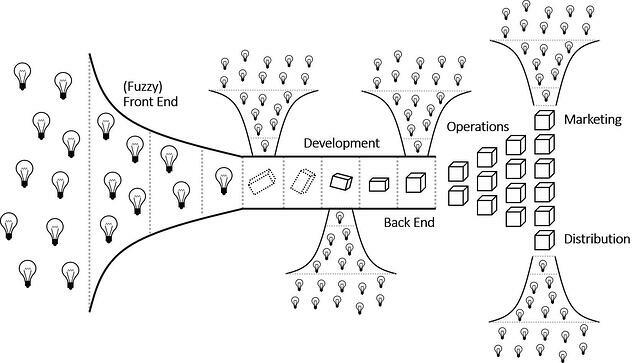 Here's one more illustration of that observation, based on a traditional "funnel" diagram of innovation. The conventional view, from the new product development field, is that ideas come only at the front of the funnel; are "processed" into products; which then go to market ... manufacturing, marketing, distribution, etc. So what's a fractal, and what does it have to do with ideas (or innovation)? A fractal is a phenomenon in nature or mathematics that manifests as a repeating pattern at every scale. If you look at the different ways that new product or software development have been represented over the years, they tend to fall along a spectrum from linear to waterfall to circular to spiral. We've just seen examples of the linear and circular models ... the traditional NPD funnel and the design thinking model. The waterfall and spiral concepts were first described by Barry Boehm in a 1986 paper "A Spiral Model of Software Development and Enhancement". The spiral has been adopted by others, including EY, for various types of innovation. Fractal, then, is just the next step beyond the spiral ... recognizing the complex, iterative, organic nature of innovation. So it's fractal ... so what? Great question! 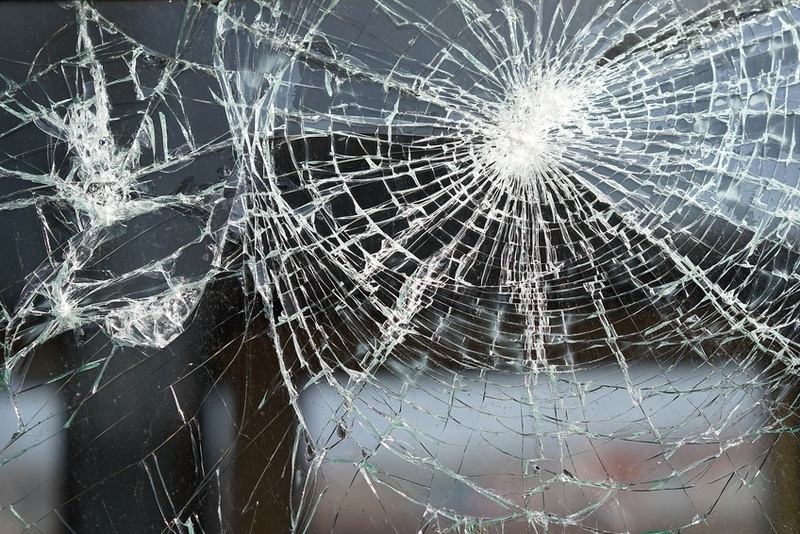 In some ways, a fractal process is messier, more complex, harder to manage and predict. What use is this insight? The same idea can often be applied at different scales in the same project. Ideas can "spin off" other ideas. 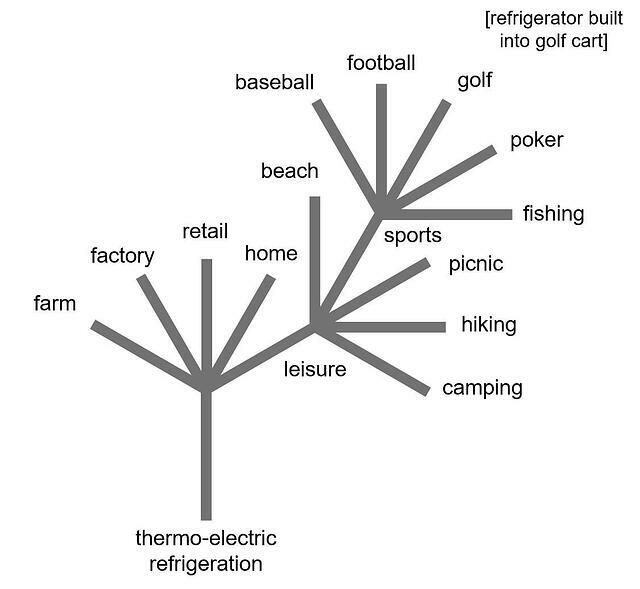 Start from a core idea as a "seed"
Then branch out again, and so on, until you reach the desired level of specificity for your objective (the "leaves"). It's simple technique, lends itself to quickly creating a large and very comprehensive set of ideas, and it's easy to assign different branches of the idea tree to different team members, allowing them to work independently and bring their ideas together in a common framework. A second potential value of a "fractal perspective" is to encourage a more organic approach to innovation process, management, culture and training. Although I believe there's great value in organizations embracing, promoting, and teaching a specific process model, such as NPD or design thinking, sometimes a multi-step end-to-end model is too cumbersome to be widely adapted in every context where new ideas are needed. It's like a big molecule that's too complex to pass through a cellular membrane ... a smaller, simpler molecule diffuses more easily. So what's the smallest, simplest, most widely-applicable innovation process that could be designed and taught? What's the quantum of innovation? I would suggest that it's a two-step function that combines a divergent phase with a convergent phase ... e.g. generating ideas + selecting ideas. There are many tools and techniques available for both steps. Based on our experience, it's possible to teach a basic toolkit for brainstorming and selecting (filtering or prioritizing) ideas in a single afternoon session. Teams may then adapt the techniques to different scenarios. The biggest value comes from simply clarifying the essential dichotomy between the two steps, and giving people permission to be creative in designing their own variations. The result, ideally, is a flexible organic capacity throughout the organization for individuals and groups, whether they are part of a formal "innovation team" or not, to better leverage ideation in response to any problem-solving or value-generating opportunity. John Reaves has practiced at the intersection of creativity and innovation for over 30 years, helping to develop new products and services, as well as designing new innovation models, programs, and curricula. He has worked with the lab teams at IBM, Bell Labs, Epson, NTT, Arm & Hammer, and Kraft. He has developed innovation and creativity programs for GE, Nationwide, Glaxo Smith Kline, and the National Science Foundation. He has supported product management teams at SAP, LexisNexis, Lucent, and Microsoft, as well as change management initiatives at GM, Exxon, and PepsiCo.